After getting a feeling for international competitions in 2015 and 2016, including an eighth-place finish in the 25 km marathon swim at the 2016 European Open Water Championships, Barbara Pozzobon came into her own during the 2017 season. 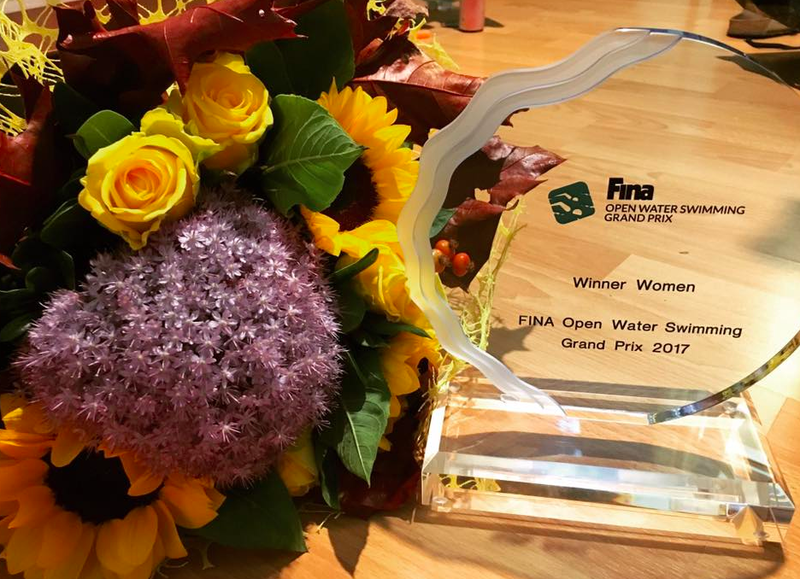 On the FINA Open Water Swimming Grand Prix professional marathon swimming circuit, Pozzobon had four excellent performances throughout the season from February to September. She won the 57 km Maratón Acuática Internacional Santa Fe - Coronda in Argentina in 8 hours 53 minutes, finished second in the 32 km Traversée internationale du lac St-Jean in Canada in 6 hours 49 minutes, won the 33 km Ohrid Lake Swimming Marathon in Macedonia in 5 hours 15 minutes, and finished fourth in the abbreviated 16 km Maratona del Golfo Capri-Napoli in Italy in 4 hours 17 minutes. She won the overall 2017 title of the FINA Open Water Swimming Grand Prix professional marathon swimming circuit by out-swimming her Italian teammates Alice Franco and International Marathon Swimming Hall of Fame inductee Martina Grimaldi over the course of the long, tough season. Pozzobon wrote on Facebook, "It was a very long season and no doubt challenging where joy and disappointment have traveled in an equal pace, but in every case I tried to do my best. I achieved results that I could not even think about a year ago. I now feel like it is a dream...a dream that has become a reality. I hope and I want it to be just the beginning of a long road. I am very happy about this year and I would like to thank all the people who have been close to me, who have supported and endured and who have worked with me. Despite the my constant whining, I never gave up and continued to believe very often." 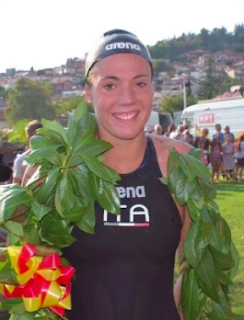 For good measure, she represented Italy at the World University Games where she placed sixth in 10 km marathon swim in Taiwan.